Babywise isn’t imposing a schedule. You don’t just take a schedule and implement it and call it done. No. It’s learning the ideal schedule for your specific, unique, child. I mentioned yesterday, that I was quite shocked to read some of the Babywise “myths” when I first started researching the idea. 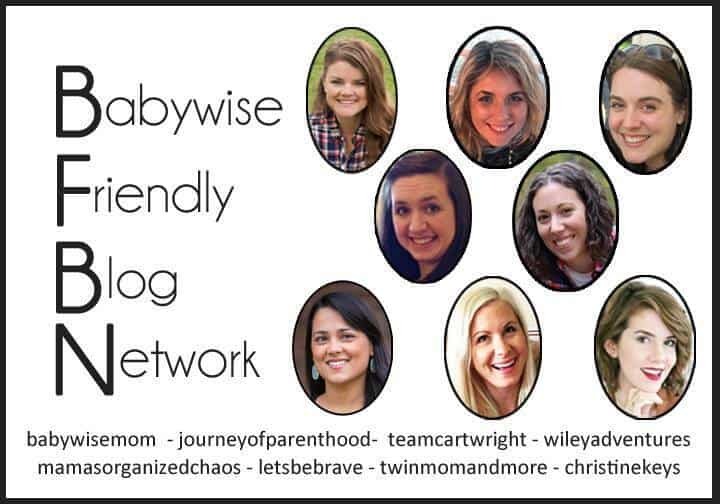 I first found the concept of Babywise on Pinterest, and I didn’t yet know it was called Babywise! I found a pin that was focused on scheduling feedings. I had been researching how often I should expect to feed my baby throughout the day and night. I am one of those Type A people that love to be as prepared as possible for things. While I knew I couldn’t possibly know anything exact, I wanted a ballpark number to keep in mind- a goal. When I saw the idea of scheduled feedings, I was fascinated. I know that I personally thrive on schedules and knowing what is expected of me, and that my students also did the same, when I was teaching high school. I had a feeling that babies would also love the idea, and I really wanted to give it a shot. As I researched more and more, I finally found the term Babywise. That’s when the research turned negative. Once Babywise is mentioned, there are a lot of myths to sift through. I turned to the book, and to the BabywiseMom blog. I also joined the Babywise Mamas group on Facebook so I could have a support system with other mamas that were using the same concepts. 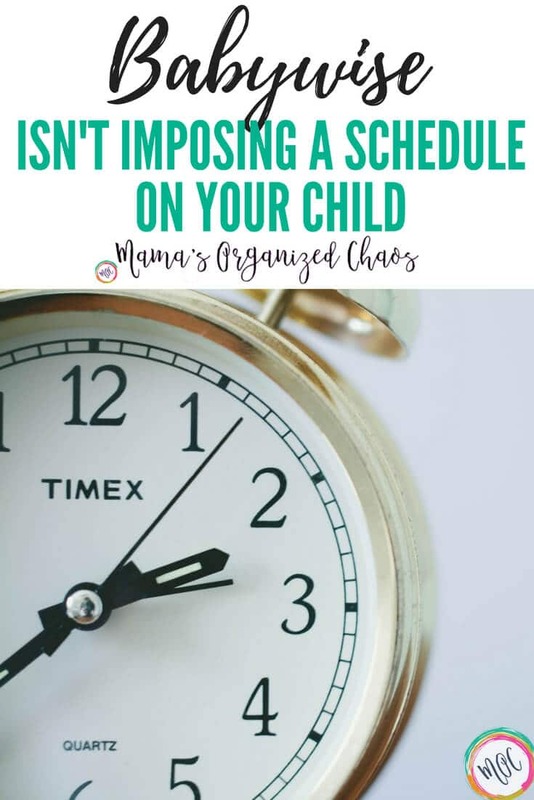 Babywise Isn’t Imposing a Schedule, it’s Learning the Ideal Schedule. This is a very important idea that often gets lost (unless you’ve read the book). Using Babywise will starve your baby and cause failure to thrive. Babywise requires you to hyper-schedule. I kept seeing failure to thrive, failure to thrive, all over the internet. And I kept thinking…did we read the same book!? Nowhere in the Babwise book, does it mention to leave your baby to cry if they are hungry. In fact, it says quite the opposite. Comparing these feeding philosophies, clearly sets the stage at the beginning of the book. With just these few quotes, it is clear that Babywise is not a hyper-scheduling method. It is not leaving your baby to cry when your baby is hungry. These myths are describing clock feeding- not Babywise. The focus of Babywise is deep and broad. It is focused not just on feedings and a schedule, but on healthy routines, optimal sleep, learning, healthy grown and optimal development. Babywise is a way of life, not a simple ‘implement and go’ philosophy. The idea that Babwise uses hyper-scheduling and allows for no flexibility is another key point that we should discuss in detail. There are several instances in the book that discuss the flexibility that needs to be allowed with this method. Let’s address the starvation myth head on while we are at this! Here’s the thing. Babywise is not easy. When you succeed, you end up with a very happy, well rested baby that is eager to learn. Your baby will be content in between feedings, and they will sleep better and longer stretches. When you’ve succeeded at Babywise, you will have people tell you that you are “so lucky to have such an easy baby”. The reality is that it is anything but easy. It is not as simple as finding and implementing a schedule. You have to find the ideal schedule. You have to have a holistic approach. You need to be flexible. You need to know your baby’s hunger cues, and be able to distinguish them from other cries. You need to know what it means when your baby wakes up early from a nap. 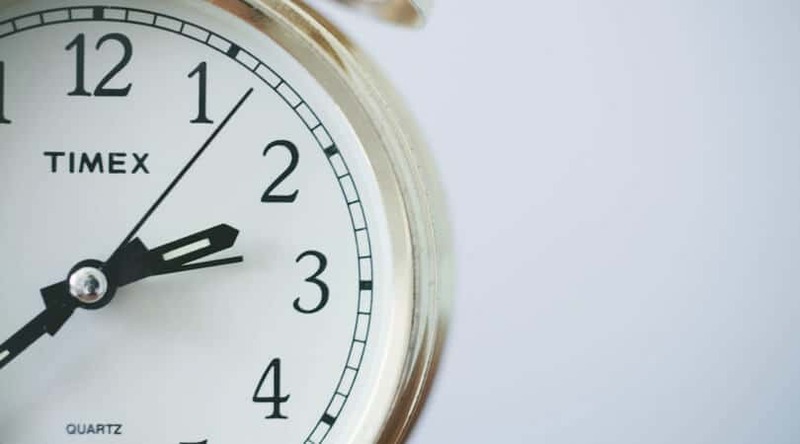 You need to know that waking up early from a nap has different reasons based on the amount of time they slept- that waking 30 minutes into the nap means they are probably overtired, but that a 45 minute nap means something completely different. You have to implement a schedule, observe your child, make notes, analyze the data, and repeat. You make adjustments, do more observing, more trial and error, more analyzing, and more repeating. You do this until you find the sweet spot. You’ll find the schedule that is ideal for YOUR child. Then you stay consistent with that schedule. Until….your baby starts showing signs that it is time to make a change. Maybe you now need to drop a feeding, or drop a nap. You need to be so in tune to all of the “data” that your child is showing you on a daily basis. It’s worth it. Boy is it worth it! But it is not easy. It is not luck. It is hard work, and it does pay off for both you and your child in the end. Time to Adjust Baby’s Wake Time?